IAGI is committed to raising the profile of geosynthetic installers. The geosynthetics installers are the backbone of the industry—they are the people who do the hard work building the projects. IAGI plans to hold the GeoGames at the next Geosynthetics conference. This fun event will feature welding competitions by teams of competitors. 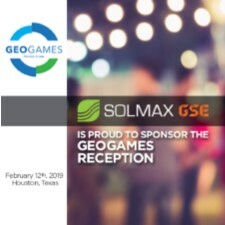 It will be an exciting event with geomembrane welding games and a reception, but it will also highlight the professional and the vital work our installers do every day. IAGI is offering sponsorships to fund this event. There are several options available to support the GeoGames. All sponsorships are available on a first-come-first-serve basis. Sign up for sponsorships will be available starting on August 13, 2018 at 11:00 a.m. Eastern time (USA). You can signed up by calling Laurie Honnigford at +1 (720) 353-4977 or email at [email protected]. You can download a PDF copy of the following information. The sponsoring company will have their company name permanently engraved on the trophy cup.